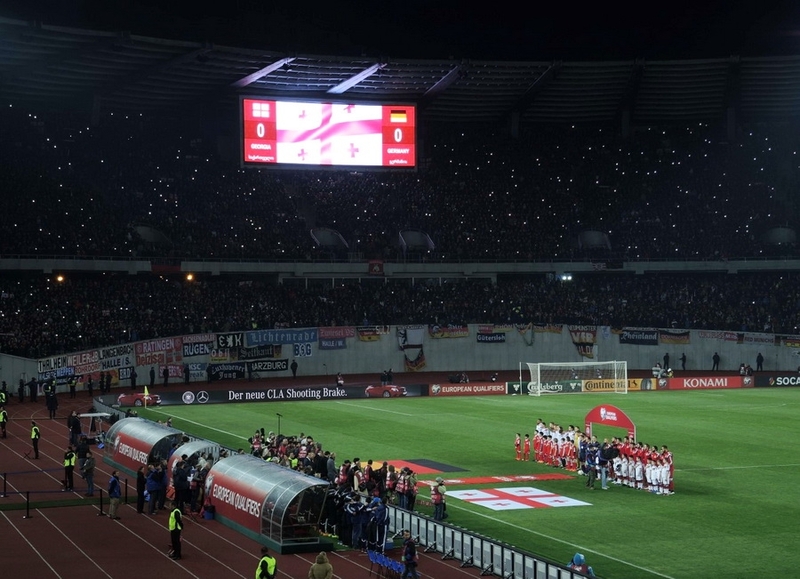 Boris Paichadze Dinamo Arena, the national football stadium of Georgia and home venue for Dinamo Tbilisi began 2015 with a significant technology upgrade by installing a Colosseo custom designed and globally first of its kind giant LED screen with a unique curved design. The screen’s 10 mm LED SMD technology with more than 2000 horizontal px surpasses HD resolution and delivers incredible sharpness from every angle day and night. The control system is comprised of the miniDirector and miniTimer and controls instant replay, timing, scoring, advertising and camera switching. 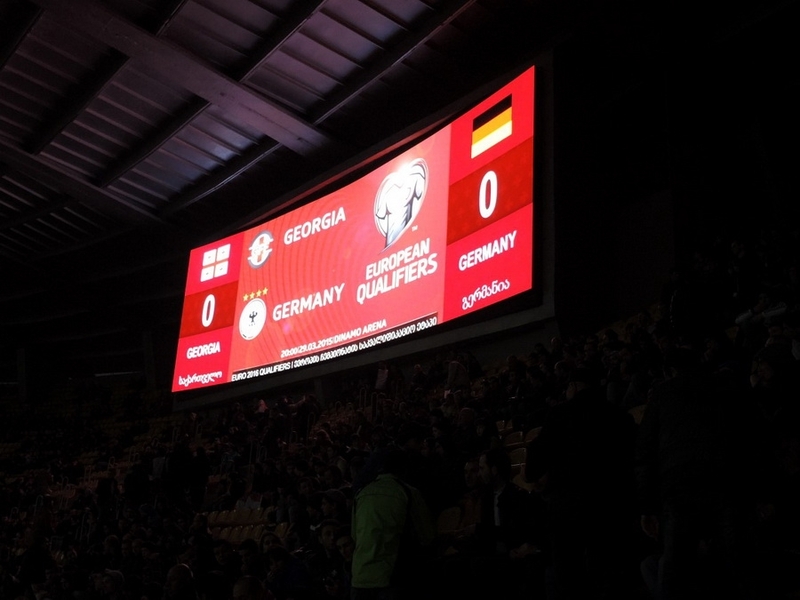 The new Colosseo screen made its debut during the UEFA Euro 2016 qualifying match of the Georgian national team against Germany and delivered a spectacular viewing experience to the 65000 fans in attendance. 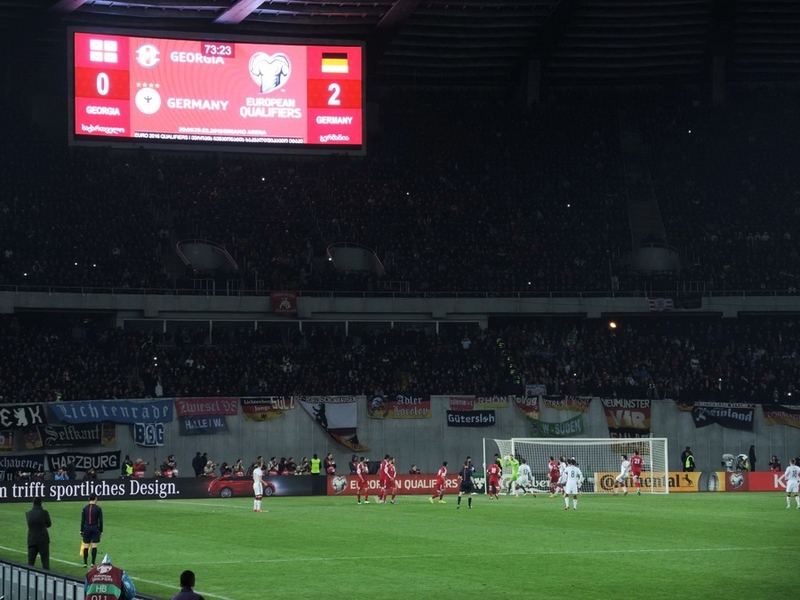 Colosseo is a leading provider of custom designed LED screens and center hung video boards, integrated multimedia control systems and access control for sport venues. 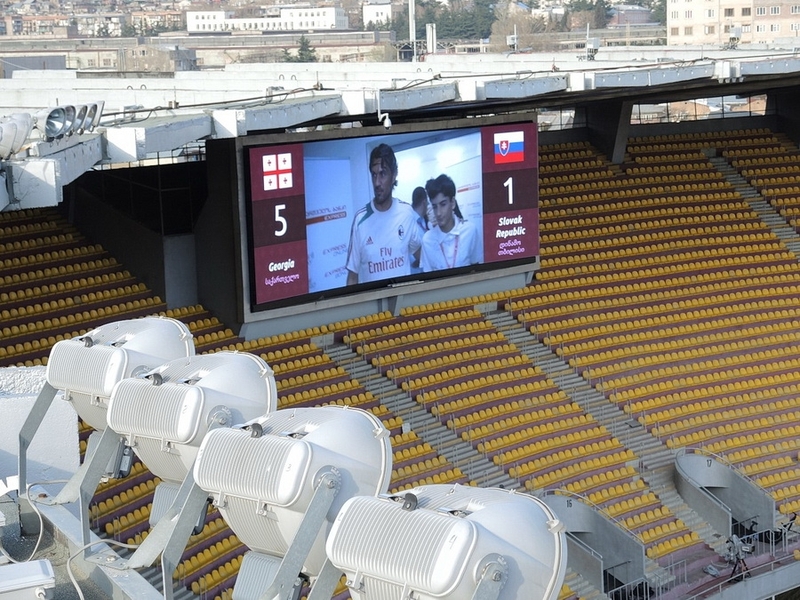 With more than 30 installations worldwide in the past 5 years, Colosseo has been providing control room operators with the cutting edge technology to take complete media management within a sports venue along with fan interactivity, entertainment and infotainment to a significantly higher level.